Faith is a topic written about often in the Bible and criticized daily by the world. The Lord Jesus Christ Himself says that faith is something that you can see! How can that be? Let’s look at Matthew 9:2 first. This is probably my favorite Bible verse about faith. Matthew 9:2 And, behold, they brought to him a man sick of palsy, lying on a bed: and Jesus seeing their faith said unto the sick of the palsy, Son, be of good cheer; thy sins be forgiven thee. Notice the words, and Jesus seeing their faith. Their actions made their faith visible to the world to see. The people who are referred to here only as “they” took action based on their faith. They did not stay at home that day and ignore the fact that Jesus was in town. They didn’t ponder going to get their sick friend. They went and acted on their faith. There are times in our walk with God that we feel lead to do something or to continue something. There very well may be no rational reason why you should endeavor on, but you do! This is faith in action. This is where someone else can look at you and say, “Wow I see their faith”. Often those who step out on faith are criticized and even ridiculed. It is easy for people to follow one another. We are compared to sheep in the Bible. Sheep follow each other all over the countryside. But it is rare for people to step out on their own. To press forward when the circumstances seem to all say you should just give up. This man they carried to see Jesus was sick of the palsy. He was probably paralyzed and could not walk. We are all sick of something. Often we think of sickness as a physical ailment. Sickness can also include an alcohol addiction or drug addiction. And it can also be someone that is sick with despair, a broken heart, or overcome with grief. Sickness in our emotions can be just as devastating as a physical ailment. 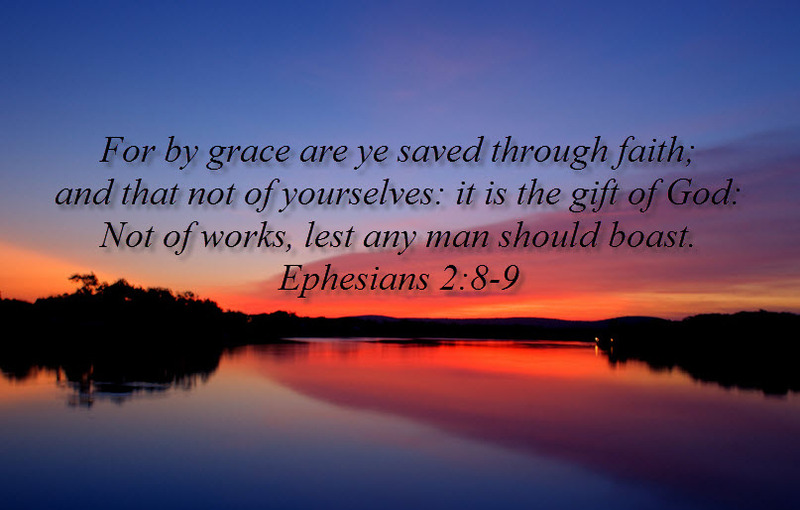 Faith in God begins when we place our faith in Jesus Christ for salvation. First we realize we have all sinned (Romans 3:23). With sin in our lives we need a Savior. Our Savior is Jesus Christ. He opened the way to heaven to us through His perfect life on earth and then His death on the cross and resurrection from the dead. He was a man crucified when he was blameless. He is the spotless Lamb of God. And then He rose again the third day. His grave is empty! We have to open our heart and ask in faith for Jesus to come into our hearts, wash our sins away, and make us clean and whole. He removes the sin and replaces it with Himself. All of the examples of faith in God that we see in the scriptures is only possible because these people acted in faith and believed that the Lord Jesus Christ is their Savior. Without faith it is impossible to please God (Hebrews 11:6). Our desire is to see more people in Manhattan, Montana come to a saving faith in Jesus. After salvation we need to continue to allow God to grow our faith. He wants to see us acting out our convictions. Each time we share Christ with someone we are showing our faith. When we go out of our way to reach out to someone we are acting in faith. When we endeavor forward in the face of disappointment or trials we are also physically showing the Lord and the world that your faith is important. Faith may be the only possible motive for someone to act, even when every other circumstance in the situation lent itself to the individual just quitting. The Lord Jesus Christ Himself says that faith is something that you can see! We want to invite you to start showing your faith in God by attending church with us. If you live in our near Manhattan, Montana stop by on a Sunday or Tuesday evening. You will see our sign on the corner of Broadway and Main street that says, “Headwaters Baptist Church”. If you are saved you need to be in fellowship in a local Bible believing church. It breaks our heart to see how many believers have gotten hurt and don’t return to church or find somewhere else to attend. Don’t be one of those. Instead, come and be a blessing! How visible is your faith?